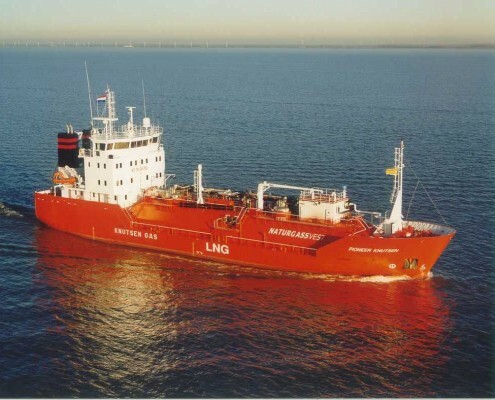 This LNG tanker for charter party Knutsen OAS Shipping in Norway and chartered by “Naturgass Vest AS” is the world’s first tanker with combustion engines running on it‘s own cargo. 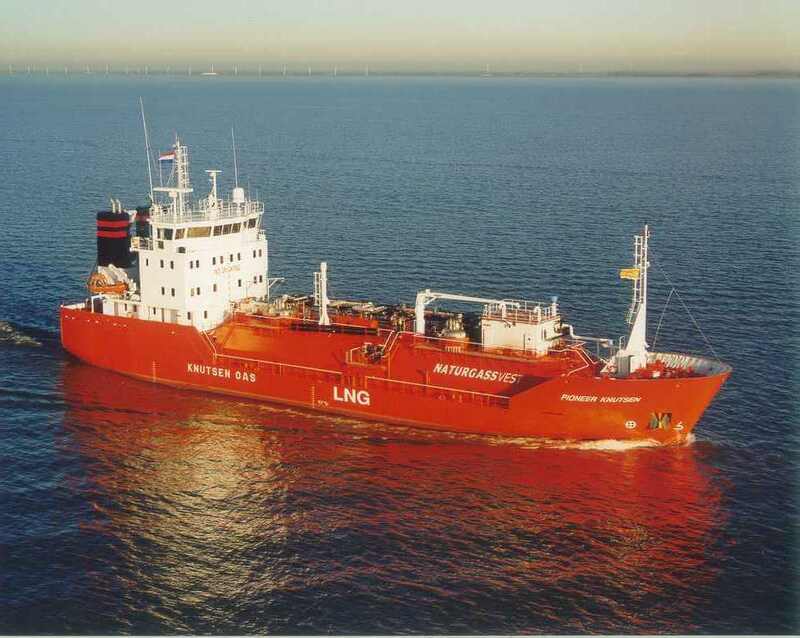 The Gastanker is a double hull LNG tanker designed as a 2 G type gas tanker. The vessel is equipped with two cylindrical stainless steel cargo tanks. The ship runs a shuttle service along the Norwegian coastline mainly in the Bergen area, Supplying small depots that currently rely on deliveries by truck. The LNG Carrier is already called “Kyoto tanker” because of her well designed propulsion plant, which saves the environment by running on LNG as well as diesel for back up. The LNG fuel is boil-off gas from the cargo to maintain the right pressure and temperature inside the cargo tanks.